IT Inc Computer Services has created an HD video series about integrating a Linux client into a Windows Domain. This is the first of three video's explaining that process. We will also be adding some additional videos to supplement the experience: including MS Exchange 2007 support, and Remote Web Workplace provided by Microsoft Small Business Server 2008. 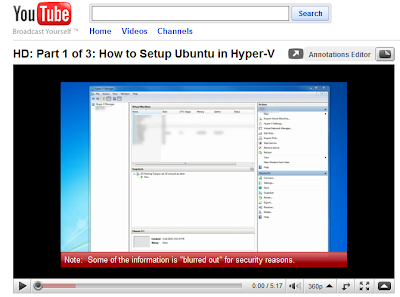 After this tutorial you will have a working Ubuntu 9.1 virtual machine. Click the read more link to watch the HD video.